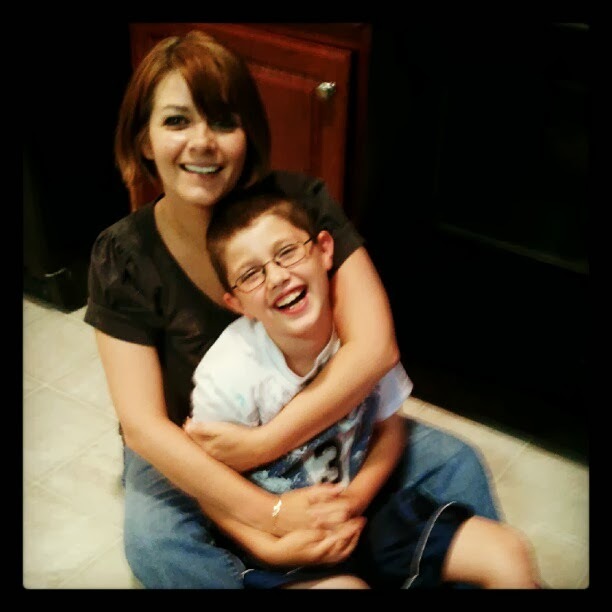 Mom Talks: Hurt Feelings & Forgiveness. Its been a while since I have done one of these post, and I thought one of the lessons I am currently learning would be beneficial to share! Jackson will be 11 years old in 2 days. Most of the time, he is a loving and caring little boy who lights up our home with his sweet smile and fun attitude. However, he is trying to grow up a little and I am quickly becoming # 1 enemy. The bad parent, if you will. On Sunday he took the time to let me know that I am not so respectful to his wants and desires...which quickly turned into a " bash mom ""
"I'm sorry mom. I know you do a lot for me and I didn't really mean it. I love you and I really am sorry. " In that moment, my heart melted and I was no longer angry or hurt and forgave my little boy for hurting my feelings. I just have not had to experience a lot of hurt feelings from the kids yet. I am sure there are going to be many more years of painful moments but maybe this past weekend was a big learning lesson not only for Jackson...but for me too. I am learning that there is no way I can hold a grudge with my kids..and there is no other option other than to work it out as a family one day at a time. And also not take things so personal when it is coming from angry kids! 2 comments on "Mom Talks: Hurt Feelings & Forgiveness. " This is so true. I've experienced this several times with my now 16 year old son. There are times his words pierce and I have to seriously ask him to give me a breather because as the parent I know to react would be well not good. I do like you did. Take some time away, regroup and then explain that my feelings hurt the same as his. It's great to know my home isn't the only one where this happens. Thanks for sharing! Raising kids is hard and the teenage years are the worst! The good news is, they do come back around, eventually! I wouldn't want those years again! God bless you!